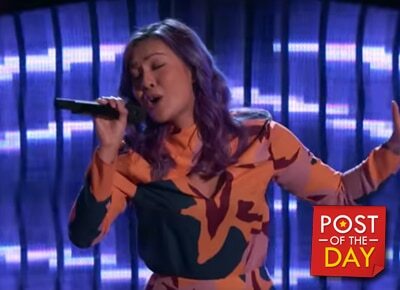 WATCH: Another Fil-Am singer wows Adam Levine in The Voice U.S.
Another Filipina-American singer impressed the coaches of The Voice US. Gaby Borromeo sang Leona Lewis’ song “Happy” and Maroon 5 vocalist Adam Levine and singer Blake Shelton turned their chair for her. "I'm very surprised that this was not a four-chair turn. Correct me if I'm wrong but when you started singing you seemed like you were nervous. But then as the song progressed, you came through in a way that just blew my mind. You're unbelievable and you belong on my team,” Levine said. Borromeo expressed her happiness on making it to Levine’s team online.